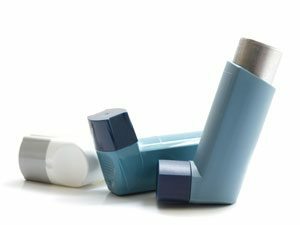 Allergies increase your chance of having asthma. In fact it is the top cause implicated in asthma.As such, a clinical immunologist and allergist have an important role in the management of all asthma cases from mild to severe. Clinical immunologists and allergists have a unique skill set and knowledge that also helps us uniquely understand at a fundamental level the pathophysiology of asthma and the treatments used. The goal of the asthma section is to continue to raise awareness by collaborating with other specialties and partners that manage asthma. This will be done through an interdisciplinary and specialty presentation at the CSACI 2015 Annual meeting in Vancouver and through the encouragement of combined rounds at teaching centers involving ENT, respirologists and basic scientists. Where ever possible all asthma relevant content at major international conferences including the 2015 World Allergy Organization conference in Seoul Korea, AAAAI, ACAAI, EACCI will be live tweeted to engage members and share the evidence learned.